Are you a builder or contractor who wants to promote your services Online and looking for the best Construction Joomla templates for your construction company website? Meet up this fully responsive and well-documented Construction Joomla templates! A well-designed website slider and multiple color options will help you to attract your audience for a quick look. You will need Joomla template for your Joomla websites to thrive in your beginning. In this section of construction Joomla templates, we have put together the best building Joomla templates for setting up a construction recommendation online portal. All you have to do is choose! All construction Joomla templates come with the responsiveness and cross-browser compatibilities. Your Joomla website is going to look stunning on different modern devices. You just have to choose the best to create a successful online project. 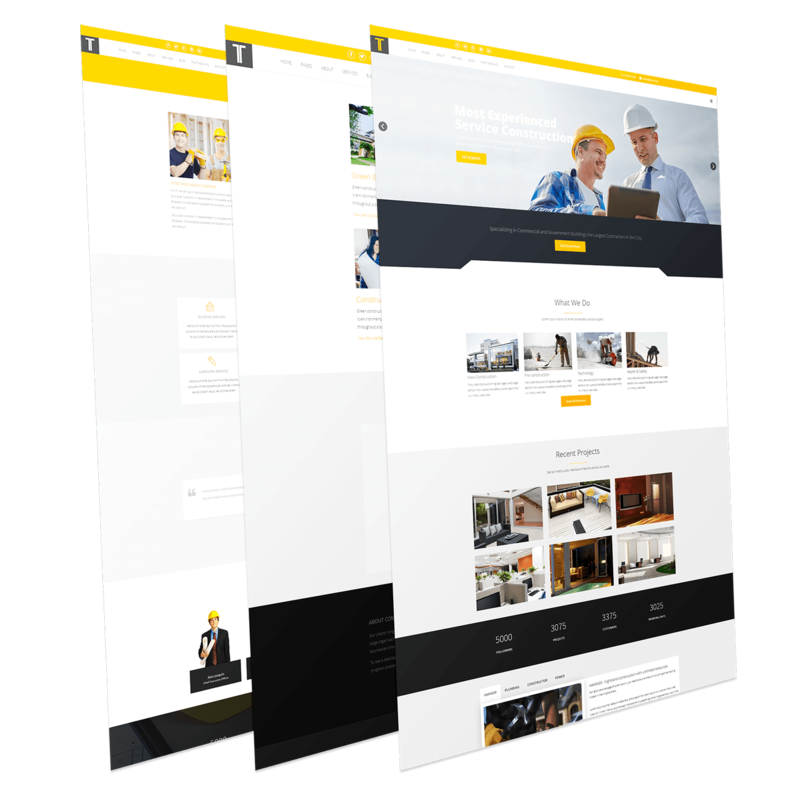 JD Construction is a fully responsive Joomla construction template specially built for construction, building companies and architect. You can make anything easy to multifarious Joomla Construction Website with this Joomla template. It is developed with Helix framework and you can build anything and take control of your page and layout with superior Quix Pro Drag & Drop Page Builder. Joomla template planned explicitly for construction, building companies and those that offer building services. Tixo provides three editions free edition, pro standard edition, and Pro unlimited edition; you can select any version that suits you best. 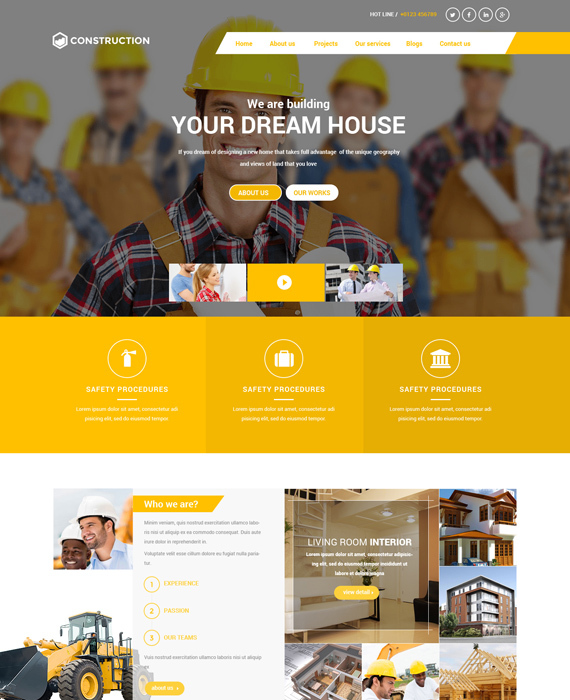 If you are looking for the best result for your construction company sites then, meet this fully responsive and professional looking Joomla template. This template is fully compatible with all modern devices. Its flexible images and text will be delivered correctly. This will enhance your conversion. Ramirezz Joomla Template provides a professional impression of your company profile. Its header features an attractive bar with follow icons, contact details, and login options. Newsletter subscription form is attracting visitor’s attention. AT Construction is responsive Joomla template customized for house design or construction Joomla template websites. This template provides sensible images of fantastic house design or at the construction site to enhance the construction business. It builds on a powerful framework with fully Bootstrap CSS Framework, Support Fonts and K2 extended style, offers various layouts, four color styles and boxed layout it also presents gorgeous creative design to make your site impressive at first sight. It is the latest premium product from Zoo Template to meet the demand for building Service Company such as construction, engineering, architecture website. It is built with the Zo2 framework. Zo2 Framework can help your site to achieve the desired ranking much more efficiently and comes with supported boxed and wide layout. It is entirely compatible with all kind of devices. Your Joomla website will look fabulous on every device. 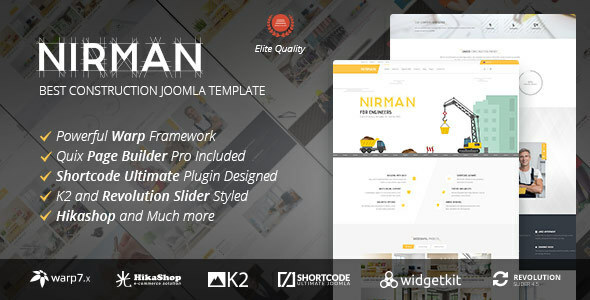 Nirman is a one of the best and highly recommended construction Joomla template comes with a massive number of features. Its creative and elegant design, powerful Warp Framework with unlimited options and flexibility. In Nirman, you can save any Shortcodes setting as preset for future use. So no more irritation to make the same thing again and again. And many Shortcodes fulfil your social media expectation. For example, it’s included social like social share, social feed, social lock etc. BT construction one of the best Joomla template, it is fully responsive and delivers the attractive design on any devices. Its background slideshow and content showcase module show your featured images and articles beautifully. With six preset colors in-built, you freely preview the whole template. 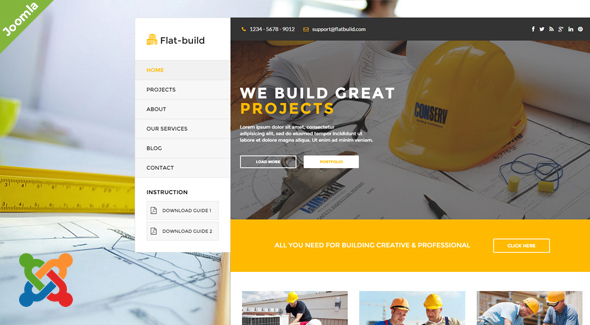 Flatbuild is retina ready, clean construction Joomla template. You can use it for, business, construction, renovation, electricity etc. This template includes all features that you need; it fits every screen Build on Bootstrap 3.2. 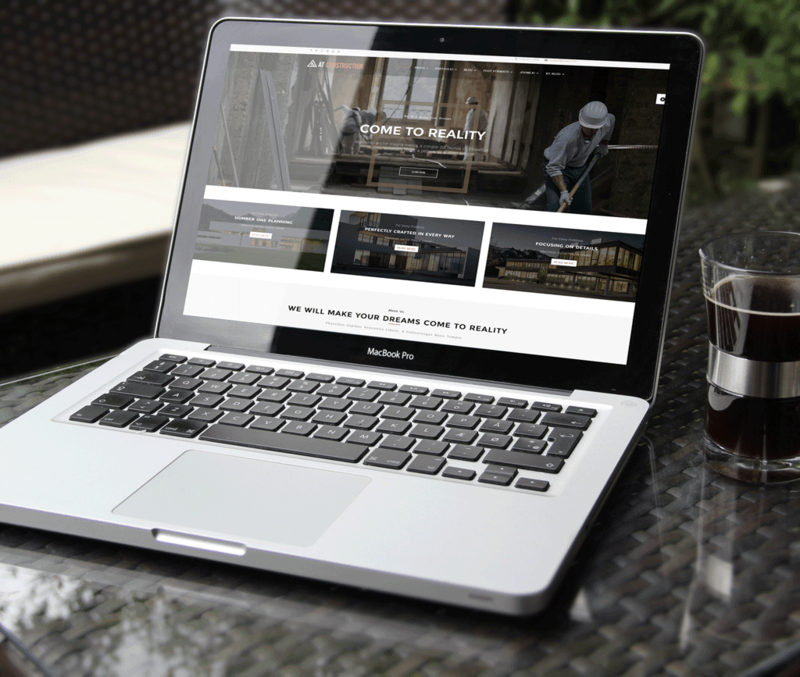 Empire is a fully responsive Joomla! 3.7+ template. 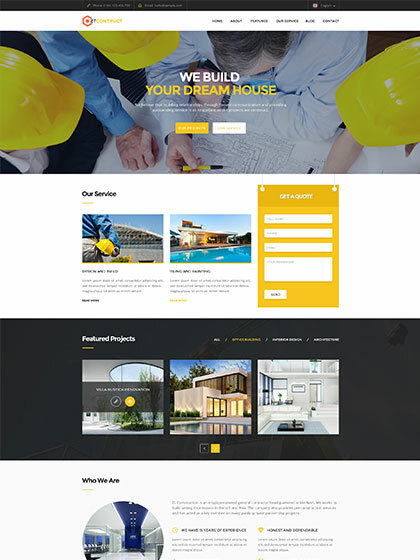 The 100% responsive Joomla template crafted for construction, real estate, agencies, builders and other related businesses built with Helix 3 framework. Empire has beautifully organized, beautiful, neat & clean, easy to use Joomla template design with every modern feature necessary to launch a real estate, construction, builder centric website to display properties with easy searching systems. 13 Reasons Why To Choose Joomla CMS!